The story is reasonably intriguing at first. The Ashen, a great luminous bird that gives light to the world, died some time ago. Its resurrection is now at hand but there are plenty who’d rather see a world of darkness that suits their own purposes rather than have the Ashen return, so it’s up to the player to ensure that they don’t succeed by going through a co-op focused Dark Souls knockoff. …Sorry. 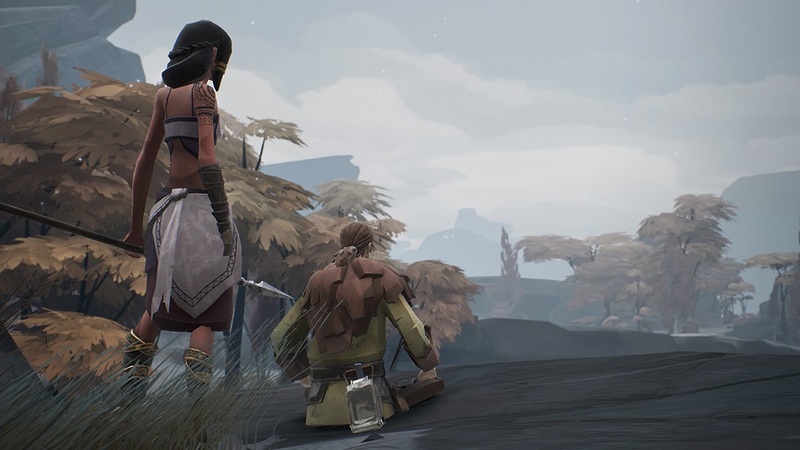 It’s just really, really obvious where the systems in Ashen originated. Unfortunately, the devs don’t do a great job of carving out a new identity for their work, or even in replicating the essence that made Souls so successful in the first place. 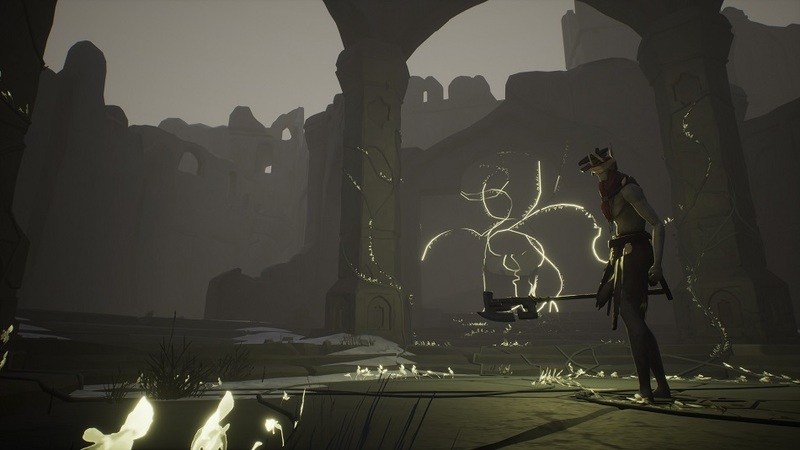 The standout aspect of Ashen is probably its visual style — it’s a largely textureless dream world which will likely delight the artistic types out there and leave the rest of us thinking that it’s unfinished. It’s clearly a deliberate choice, but it’s not a great one. It’s hard to feel any connection to the world or characters when they’re a collection of rough-hewn polygons. The combat is functional but boring, boiling down to blocking with a shield, dodging around attacks and then pummeling enemies with multiple swipes of whatever weapon’s equipped. There’s little variety in approaching enemies, due to players having a very limited moveset of attacks, and even though there’s a reasonable variety of enemy types wandering throughout the world, most of them feel more or less identical to fight against, and the flat art style renders them a featureless group that’s anything but memorable. The player’s armaments don’t spice things up, either. Most weapons are essentially the same, with the majority of them feeling like simple model swaps. There are short clubs and axes for quick hits, longer two-handed maces and axes for heftier, slower attacks, and javelins that can be chucked at enemies. They all have minor stat differences that affect things like the ability to stun enemies mid-combo or to perform critical hits, but the lack of mechanical diversity seriously dampens the thrill of finding something new in some small forgotten corner of a dungeon. Armor types suffer from the same problem — it’s hard to feel inspired by minor changes to defensive power and stamina regeneration. One area where Ashen successfully differentiates from Souls is that there are no character builds. Some boosts to health and stamina can be found in the field and there’s a small amount of customization through applying runes to the protagonist, but players won’t ‘level up’ or assign stats to branching skill paths. No, it’s a stripped-down system that automatically assigns predetermined bonuses as players progress through the game and complete quests for NPCs. Speaking of NPCs, one nice thing about Ashen is that the player has a home base that evolves substantially over time. It starts out as a windswept plateau on the arse end of nowhere, but upon returning from quests, it’s not uncommon to see NPCs drifting in to take shelter, walls going up, or new buildings being added with handy facilities inside such as storage chests or blacksmithing anvils. It’s a shame players aren’t actively involved in its construction, but it’s still a neat feature. Unfortunately, the suicidal habits of the AI cannot be overlooked. 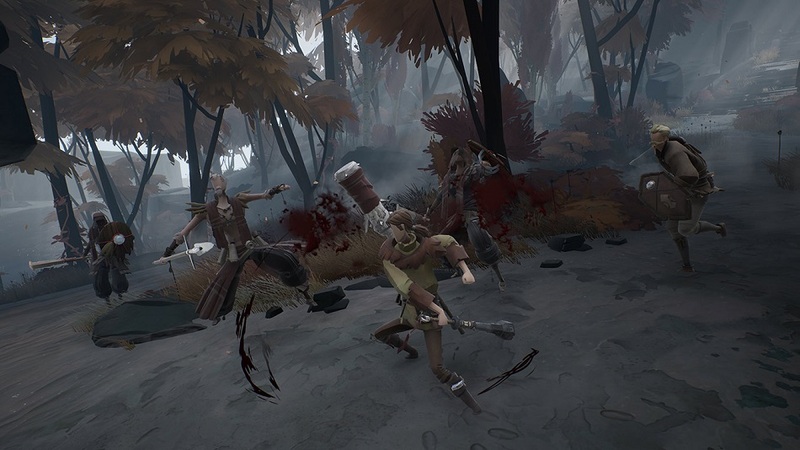 See, Ashen features a ‘roaming’ approach to co-op where other players can enter the host’s game and help out in battle, lead them to treasure, go AFK, spam gestures or whatever. 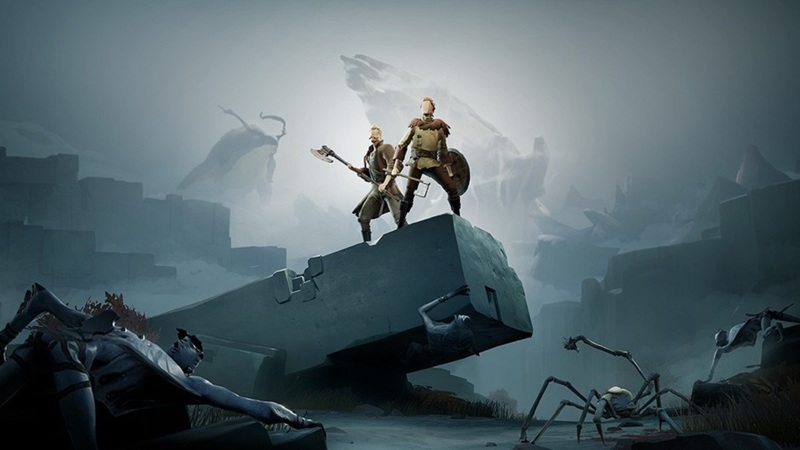 Since dungeons in particular are tuned for bringing a companion, Ashen will provide an AI companion instead – one’s available right from the start, and after the player’s town gains a few residents, several more may join as well and help out with attacking enemies, tanking hits and generally being reasonably helpful. Occasionally they’ll stop at ledges and never leave, or attack a passive enemy and start some unneeded trouble, but nothing gamebreaking. In the absence of other players joining (co-op was non-functional on PC at launch, and it does require a Live subscription to access on Xbox One) the AI can manage to hold their own for 95% of the time. …Then there’s the other 5%. The issues arose chiefly while exploring the Seat of the Matriarch and other, similar areas that are clearly tuned for two people to explore as a team. These places feature occasional swarms of enemies that can kill in just a few hits and deep pits on either side of a long descent are common, so having the AI leap to its death or just wander off and disappear into thin air is immensely frustrating. 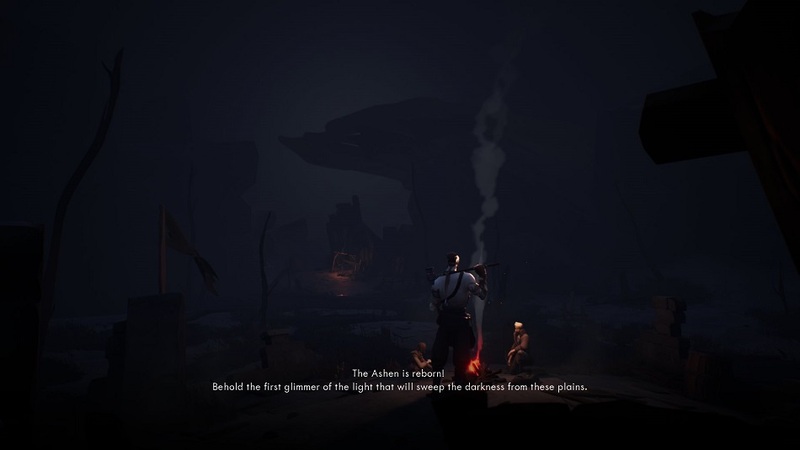 These sections almost made me quit Ashen in disgust after several deaths in gloomy, poorly-lit areas with no checkpoints and little hope of survival without another character to at least distract some enemies and take heat off of me. I did eventually battle my way through thanks to sheer pigheadedness, and to be fair, most of Ashen‘s runtime was nowhere near as irritating. Then, just when I thought I was past the worst of it, I was wrong — I quit Ashen at the final boss because my idiot companion would wander into the fray mindlessly and get immediately slaughtered. Repeatedly. That frustration combined with a five minute repeat run through irritating grabby enemies after each defeat made me toss the game aside in disgust. Given the pittance of damage I was doing, the lack of AI help, and the fact I could be killed with a single combo from the boss, it wasn’t worth the effort. Disclosures: This game is developed by Aurora 44 and published by Annapurna Interactive. It is currently available on Xbox One and PC. This copy of the game was obtained via Xbox Game Pass Digital Download and reviewed on the XBO. Some time was also spent checking out the PC version. Approximately 15 hours of play were devoted to the single-player mode, and the game was not completed. Multiplayer is passive, though I played it primarily offline. Parents: According to the ESRB, this game is rated T for Blood and Violence. I wouldn’t be too concerned about it freaking out the kids as the art style largely removes anything that could be considered gratuitous from the equation. Deaf & Hard of Hearing Gamers: While the usual disclaimer about being unable to hear enemies approaching or attacking from off camera applies, it’s not a significant barrier in this case so long as players remain alert. I can’t recall any moments where audio was required for puzzles or the like, either. 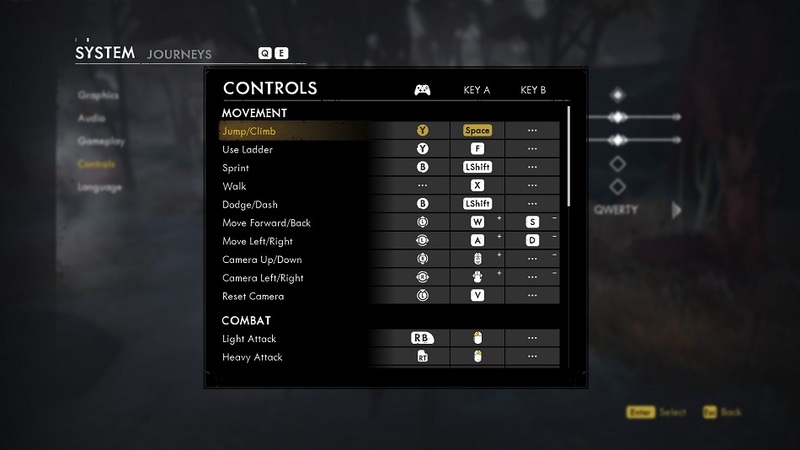 Remappable Controls: Yes, this game offers fully remappable controls… at least on the PC version. 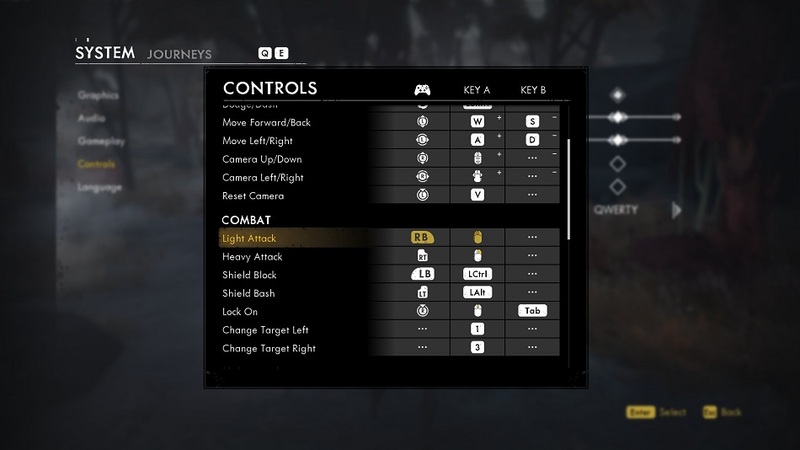 On the Xbox One version there are several control presets available which hew closely to the standard Dark Souls layout – attacks and blocking on the triggers, etc, as shown below.